Carmela Lunt, who became the face of Community Hope, a nonprofit that provides housing and support for the mentally ill, died Sunday. She was 88. The kindly, bespectacled Lunt, formerly of Mendham Township, started her legacy when she, and 10 others, opened its first group home for the mentally ill on Berry Street in Dover. Five patients from Greystone Park Psychiatric Hospital moved in. The year was 1985, President Ronald Reagan was in office, and the trend toward deinstitutionalization of patients from state mental hospitals was well underway. Today Community Hope, based in Parsippany, is a $16 million organization with a staff of 400 active in 13 counties in New Jersey and eight in Pennsylvania. In New Jersey, Community Hope serves Middlesex, Monmouth, Morris, Somerset and Sussex counties as well as Bergen, Essex, Hudson, Hunterdon, Mercer, Passaic, Union and Warren. The nonprofit owns 30 group homes and, on any given night, houses 400 people and another 1,500 in its Supportive Services for Veterans Families program. He recalled that her personal grace belied her steely determination. The journey started for Lunt in her own home. In 1978 her son, Alan — one of her five children — was diagnosed with schizophrenia while a student at Rutgers University. When he had to drop out, he moved in with his parents. That year, he was hospitalized twice and then again in 1980, 1982 and 1984. Over the years, she has said that she was at first “frightened to death” by the very word schizophrenia. After strife, and a personal battle with depression, Lunt, who’d been an activist during her college days at Syracuse University, banded together with other parents facing the same challenges. From firsthand experience, they knew the solution needed — homes in which people who faced debilitating mental illnesses could live in a family setting and get as many or few professional services as they required. Those are the days Lunt learned to be assertive through her volunteerism, she said. In a search for funding, she mustered the courage to speak to the head of the Mental Health Association of Morris County and Rep. Rodney Frelinghuysen, R-N.J., of Harding, among others. Lunt went on to become president of Community Hope, a position she held for 27 years. Eleven years ago, she set out, with Frelinghuysen’s help, to expand the nonprofit’s services to include veterans. In 2004, Hope for Veterans was formed. To date, this transitional housing program for formerly homeless vets, located on the grounds on the Lyons Campus of the Veterans Affairs New Jersey Health Care System, has helped 1,000 veterans and their families. Through the years, Lunt also served as chairwoman of the board of trustees for the New Jersey chapter of the National Association on Mental Illness. At that time, as now, Sylvia Axelrod was the association’s executive director. 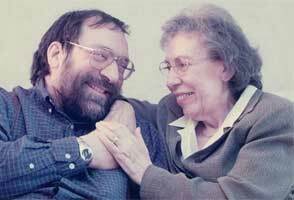 Axelrod remembered Lunt as one of her favorite people. Amid all the growth and success, Alan Lunt flourished in his life, too, going on to earn a master’s degree in psychiatric rehabilitation and work and publish in the field. Alan Lunt died in 2006, suddenly and peacefully, at age 50. Carmela Lunt was born Nov. 1, 1926, in Providence, Rhode Island. She earned her bachelor’s degree at Syracuse University and master’s at Rutgers. She had an avid interest in photography. She was predeceased by her husband of 62 years, Harry, a metallurgical engineer who supported her efforts; her son, Alan; and her brother, Thomas Tamburri. She is survived by her sister Mary Spino; her children Teresa (Tom Garvey), Diana (Barbara Munley), Linda (Jack Patterson), Steve (Merrill); and seven grandchildren, Alyson, Eric, Benjamin, Valerie, Emily, Molly and Sophie. Visitation is from 2 to 4 p.m. and from 6:30 to 8 p.m. Friday, with a one-hour service starting at 8 p.m. at Costello-Runyon Funeral Home, 568 Middlesex Ave. (Route 27), Metuchen. Interment is private. In lieu of flowers, donations may be made to Community Hope, 959 Route 46 E., Suite 402, Parsippany, NJ 07054. Reprinted with the permission of The Daily Record.